British government and other donors to PA education system to review of incitement against Israel and Jews. 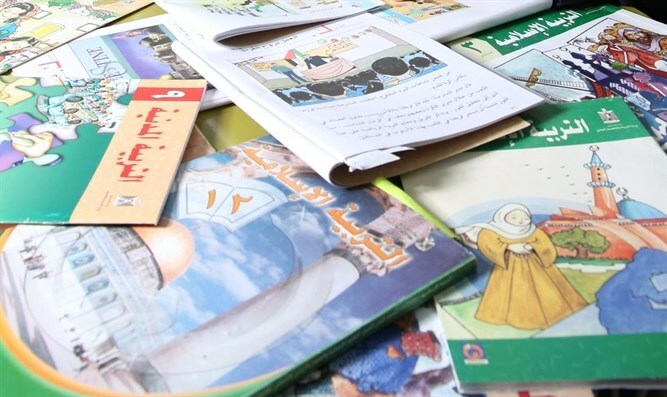 The British government and other donors to the Palestinian Authority (PA) education system will undertake a review of incitement against Israel and Jews in Palestinian textbooks, JTA reported on Friday. “There is no place in education for materials or practices that incite young minds toward violence,” Parliament member Alistair Burt, a Foreign Office minister, said during a debate which took place on Wednesday in the House of Commons, the British parliament’s lower house, on incitement in Palestinian Authority textbooks. In 2016, Britain suspended millions of pounds-worth of aid payments to the Palestinian Authority amid claims taxpayers cash is ending up in the hands of terrorists. The move came after furious British MPs demanded action following revelations that UK aid supposedly paying for civil servants in Gaza was being transferred to the Palestine Liberation Organization (PLO). The debate in the House of Commons came after, in a separate occurrence, Australian Foreign Minister Julie Bishop announced that Australia would cease its funding to the PA altogether over its salaries for terrorists jailed in Israel, including murderers. The Knesset on Monday approved the “pay to slay” law which would see the Israeli government withhold tax funds to the PA as long as it continues to pay salaries to terrorists who attacked Israeli citizens. Following the bill's passage, Israel will freeze more than 1.2 billion shekels ($328 million) in tax revenues which will not be transferred to the PA this year. The Israeli bill is reminiscent of the Taylor Force Act, a bill which was passed by the U.S. Congress earlier this year. The law is named for U.S. army veteran Taylor Force, who was murdered in a terrorist attack while vacationing in Tel Aviv in 2016, and cuts funding to the PA as long as it continues to pay salaries to terrorists.